Tyson Foods Inc. expects to pay $200 million extra for freight this year. Kellogg Co.’s logistics costs will rise nearly 10%. McCormick & Co. blamed increased shipping expenses for its failure to achieve a profit target. Surging transportation demand is spurring trucking companies to charge as much as 30% more for long-distance routes compared with prices a year ago, and they’re hard pressed to add capacity because of a long-standing shortage of drivers. The labor scarcity is getting worse because of new federal rules to prevent big-rig operators from exceeding limits on their hours behind the wheel. The higher freight costs add to concerns that inflation is heating up, which could spur the Federal Reserve to raise interest rates. Wages are also climbing, with average hourly earnings increasing 2.9% in January from a year earlier, the most since June 2009. U.S. unemployment held near a 17-year low of 4.1%. Tom Hayes, CEO of Tyson, said the largest U.S. meat producer is getting pinched by higher expenses for both cargo and labor. “These additional costs are included in our outlook,” he told investors and analysts Feb. 8. “However, we’re assuming we’ll recover the majority through” higher prices for consumers. The tightness in the trucking market probably won’t ease any time soon. Employers can’t find enough drivers — at least at the wages companies want to pay — as low unemployment spurs competition from other industries. Construction jobs, for example, pay on par or better and allow workers to be home more with their families. Long-distance truckers can be on the road for weeks at a time. “We suspect capacity should be tight all year given the acceleration in economic activity and more competition for labor,” said Lee Klaskow, an analyst at Bloomberg Intelligence. The industry was short about 248,000 drivers at the end of last year, according to data from transportation consultant FTR. With older drivers nearing retirement, trucking companies have offered signing bonuses and stock awards, while still trying to keep a lid on labor costs. Further complicating recruitment efforts is the risk that younger truckers will be replaced by driverless semis in the not-too-distant future. Exacerbating the scarcity now is a new U.S. regulation that took effect in December requiring trucks to be equipped with electronic logging devices to track drivers’ hours. The safety measure is designed to keep drivers within hourly limits and prevent fatigue-related accidents. Manually recorded logs could be fudged. Large trucking companies had installed the gadgets well before the December deadline, but many small outfits and independent drivers hadn’t. Authorities have said they will begin to enforce the use of the ELDs in April. The devices may take as much as 10% of long-distance trucking capacity out of the market, Klaskow said. Knight-Swift Transportation Holdings Inc. expects freight-contract prices to increase “in the high-single digits to low-double digits throughout 2018,” CEO David Jackson said on a call with analysts last month. The lack of drivers caused the average number of Swift trucks in the fourth quarter to drop 6.7% from a year earlier. “The driver shortage continues to be a headwind for the industry and will likely impact the ability to increase capacity in this space,” Jackson said. 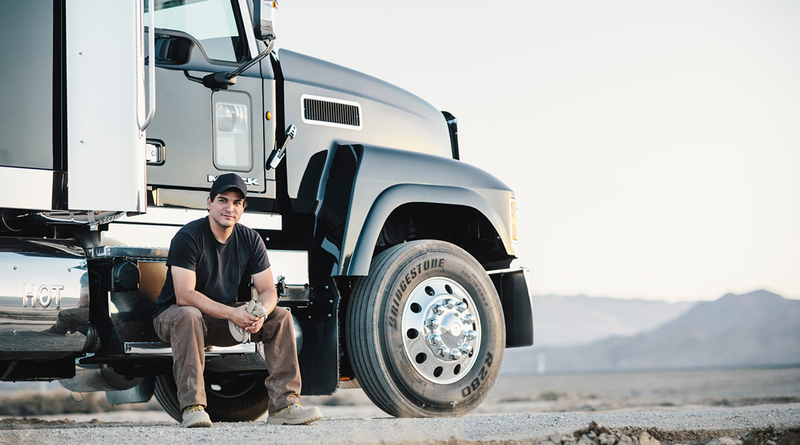 Covenant Transportation Group Inc. is offering a $40,000 bonus to persuade more drivers to work in teams, which boosts the usage of the company’s trucks by having one person rest while the other takes the wheel. That will help Covenant meet “extremely strong” freight demand, Chief Financial Officer Richard Cribbs said in a Jan. 30 conference call. Covenant ranks No. 47 on the Transport Topics Top 100 list of the largest North American for-hire carriers. Some long-haul cargo may move to railroads, which tend to be slower but charge less than trucks, Klaskow said. Railroads such as Norfolk Southern Corp. and Canadian National Railway Co. are already struggling to keep up with demand, he said. The consolation for companies faced with pricier trucking rates is that the increases are hitting everyone, so no competitor is getting an upper hand, Russ Rinn, chief of metals recycling at Steel Dynamics Inc. said on a conference call last month. “It’s going to be an industrywide issue that we’re all going to have to face, which is higher freight cost going forward,” Rinn said.